The American Academy of Pediatrics Council on Environmental Health has just announced something that seems totally out of character for conventional doctors: they've said that pregnant women are deficient in iodine and have urged widespread iodine supplementation to protect the development of their babies' brains. Iodine is, of course, an essential mineral for supporting fetal development, breast health and prostate health*. It's crucial for healthy thyroid function, too, and Natural News has been teaching readers about the health benefits of iodine supplementation for over a decade. Pregnant women should take an iodide-containing supplement to protect the brain development of their babies, according to the leading U.S. group of pediatricians. Iodine, which the body can get from iodide, is needed to make the thyroid hormones that are required for children's brain development before and after birth. The journal Pediatrics even published the iodine recommendations, breaking new ground for a science journal that rarely recommends mineral supplementation. The new recommendations say that pregnant or lactating women should get from 290 to 1100 micrograms of iodide each day, and they recommend the compound form of potassium iodide. Yes, this is the exact same form of iodine used to protect the thyroid from radiation following a nuclear catastrophe or nuclear war. Iodine has many uses in the body, and iodine deficiency causes widespread symptoms and organ function problems. Mainstream medicine is finally coming around to the fact that most people in western society are chronically deficient in key lifesaving nutrients like iodine and vitamin D.
The percentage of the population that's deficient is often far larger than you might suspect, too. Recommended daily intake levels of nutrients are kept artificially low by outmoded government standards, so even though this Council says one-third of U.S. women are iodine deficient, the real number is most likely over two-thirds. Iodine experts like Dr. David Brownstein might say it's even higher. Processed foods are almost universally deficient in iodine. In fact, my testing at the Natural News Forensic Food Lab has found processed foods to be surprisingly low in all metals and minerals, including toxic heavy metals like lead and cadmium. When foods are heavily refined and processed, it seems that all the elements are stripped out, both good and bad. As a result, most Americans are eating "empty" foods devoid of any real nutrition. Over time, chronic deficiencies in iodine, selenium, zinc, vitamin D, magnesium and other nutrients become symptomatic. Eventually they get diagnosed as "cancer" or "heart disease" or "diabetes." But instead of treating patients with nutrition, doctors usually just prescribe drugs or toxic treatments like chemotherapy. If nutritional deficiencies were eliminated across the U.S. population, the health care system would all but collapse from the sudden lack of sickness. That's why this information from the American Academy of Pediatrics Council is so refreshing -- it's finally a confirmation that iodine supplementation is crucial for the health of pregnant women and their babies. "Obviously iodine is critical to the fetal and child brain," said Dr. Loralei Thornburg, a pregnancy expert at the University of Rochester Medical Center in New York. "Therefore having a diet that's rich in iodine is critical." Potassium iodide is a rather expensive source of dietary iodine. Liquid iodine supplements such as "nascent iodine" offer a far more affordable form of iodine supplementation. Laboratory tests conducted by Natural News show that every major brand of liquid iodine we tested was free from toxic heavy metals, without exception. Click here to read the lab test results. 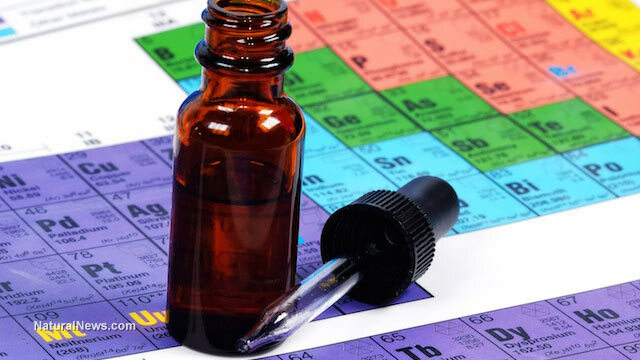 The Natural News Store offers a nascent iodine tincture delivering 485,000 micrograms of iodine per bottle, making it one of the best values in iodine supplementation for your dollar. Click here for details on Original Nascent Iodine.